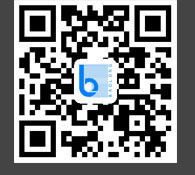 Congratulations to Changzhou Baolong chemical product, N- methyl aniline, which has been pre registered after REACH. REACH53 is the precautionary regulation of all chemicals entering the EU market, especially household goods, in 28 member states. At present, the three major environmental standards agreed by the international household industry are: DMF (skin allergy elements), REACH53, CARB standards, three complementary environmental protection systems, no overlap between each other, the series of household environmental protection standards initiated by the famous domestic household brand Federal Group, the Federal Mini Sofa Series commitment to environmental protection. Comply with international environmental standards and call for the protection of consumers' rights and interests. On December 18, 2006, the European Parliament and the Council of the European Union formally adopted the Regulation on Registration, Assessment, Authorization and Restriction of Chemicals (REACH Regulation), which regulates the preventive management of all chemicals entering the European Union market. The regulation came into effect in June 1, 2007 and began in June 1st of next year. The authority is the European Chemicals authority (ECHA). In China, this standard requires that 53 highly concerned substances (SVHC) in all chemicals with an annual output of more than 1 ton should not exceed 0.1% of the total weight of the goods. 1. From the content of the test items, in addition to the substances listed in China, there are 53 items of REACH, including 48 items of other chemicals. 2. As far as the technical requirements are concerned, the limit parameters of REACH53 environmental protection standards are tens of times more strict than those of domestic standards.